I am new to this forum but starting to feel at home here. I have a very low-mileage '97 Riviera (non-supercharged) that I just purchased a few weeks ago. The car had been garage-kept all these years but things did dry-rot. 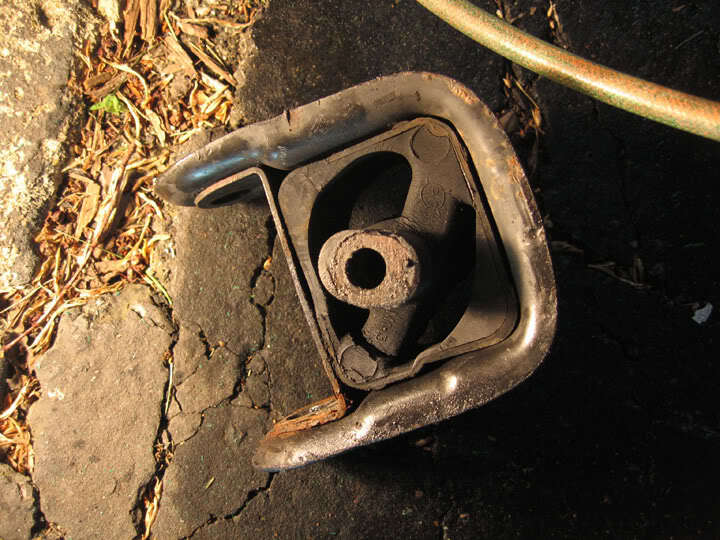 In driving the car around the last few days have become more aware of some engine vibration through the steering wheel and brake pedal at idle and especially when in drive, sitting at a stop light. It would seem to me that the amount of vibration that I feel would have been unacceptable to anyone that would have bought the car new and have had it vibrate as much as mine. My thought is that the engine mounts may be dry-rotted. Any thoughts? There's a chance the rubber mounts are cracked, causing metal/metal contact and the vibration you are experiencing. Take a read through this thread for input from various members on the topic. Links to write-ups for repair are at top of page 1. For an absolute diagnosis, have a trained mechanic put the car up on a lift and apply pressure to the engine/trans with a pry bar. Based on the amount of visible movement, they can determine which mounts are bad. Metal/metal contact can be seen under the car. Typically front & rear mounts are the ones for concern. Front mounts are easy to replace, rear is not so easy. Good luck. Hey you guys. I need a favor from you guys. Could you all send pictures of your engine w/ supercharger, like in detail and close ups. I looked at my engine recently and it looked like it was leaning a little forward on the passenger side. I hope a front mount hasn't failed. This got my attention because I checked the oil level and pulled put the dip stick and it rubbed the front black support/brace. Comments? Pictures? Actually all you have to do is get the car on a lift and look at the mounts, the ones that have failed will be obvious on inspection. Normally the bolt thru the mount is suspended by the rubber. If it is resting on any part of the mount, the mount is wack. Noticed some more vibration in the steering wheel and the cabin at idle and thought I would check my front mount. It is broken in the same spot as above. I reved the engine in park while watching the mount and it moves pretty good when it is broken! I think I will try to use the window weld and fill the mount. This is the mount that I need correct? Yes that's it. If all you need to do is the front, it's an easy job to do yourself, using a jack to support the engine. 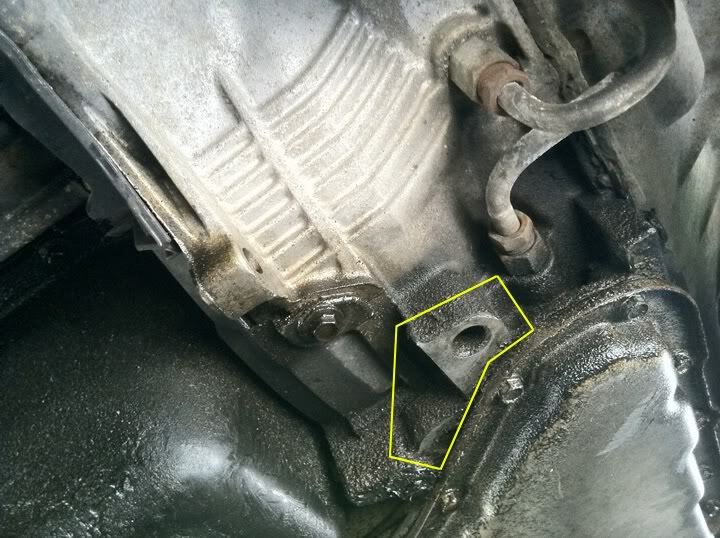 With the car securely lifted on jack stands, here's a spot where you can raise/support the engine while swapping the mount. Can do this in 1/2 hour with practice! An FYI: The rear is also actually pretty easy too. No dropping of the cradle needed. Just remove the sway-bar end links so it can swing out of the way. And it wiggles out. I also use a giant extender and impact wrench to get the PS bolts from the top. The rear mount can seem like its really buried in there and hard, but its actually not so bad at all to get in and out. edit: There is a thread here showing the PNs for the mounts. Recently some aftermarket ones started popping up, which saves a lot of $$ compared to a GM one. X3 for the motor mounts, check the rear one and front one, as the engine moves forwards when you set the reverse gear and backwards when you set the drive gear. Do you also get a bit of vibration at idle? When a lower mount on my Regal failed, the vibration at idle was almost unbearable. please "search" for the thread on motor mounts, you'll find part numbers of the OE and aftermarket (Arrow) parts, pictures of good and worn-out mounts, and such. Your problem is almost certainly the mounts, on these cars they only last 75,000 - 100,000 miles or so. I changed the front mount and ended up having to reuse the old bracket with the new bushing. The new bracket wouldn't bolt up to the subframe. The bolt holes wouldn't line up. A little more work, but not to bad. I filled up the mount with window weld and it held up pretty good being pressed into the new mount. A little bit came loose on one end, but I'm not concerned. I gave it a couple weeks to dry. Great, thanks for letting us know. Any change in the vibration? I haven't driven the car too much after I changed it, but it seems to be a less vibration now that I changed the mount. It seems to shift better and feel less clunky. The old mount had seen better days. 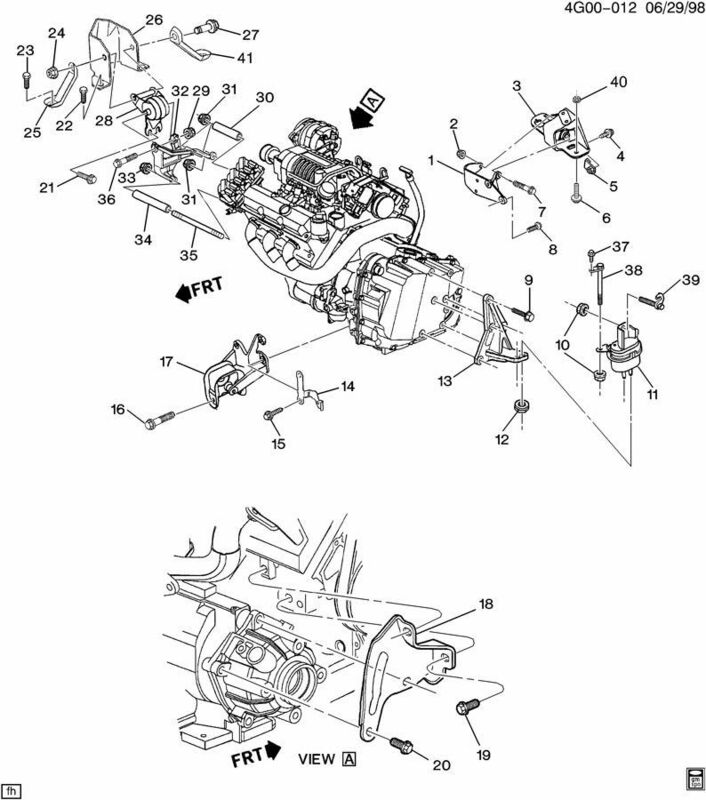 Part numbers can be found throughout this thread, or in our part number listing (See Riv FAQ above). Our cars have 4 engine/transmission mounts. Here is a diagram showing their locations. by chance you have the part numbers ?